In the financial world, innovation may not be in your best interest. What looks “new and improved” may be worse. A bicycle is more stable with square wheels but (a tad) tougher to pedal. What's wrong with solving underlying problems with proven strategies? Do you want to be among the first to use a new parachute? If your goal is peace of mind, then no. 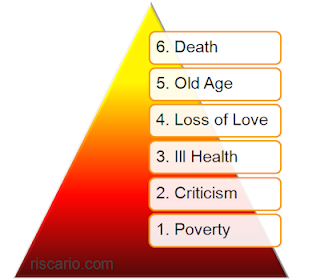 We have the same six basic fears that Napoleon Hill identified in the 1930s. We have the same basic solutions. Why? Because they work. Innovation is a sales strategy. Governments are getting more aggressive in collecting tax and less lenient in making exceptions (example). Do you want to become a test case? You reduce your risks when strategies are backed by at least two major companies. This may mean waiting. You’ll still need to use your judgment. Mortgage life insurance has major pitfalls no matter how many banks sell it. Mistakes are most likely when a new strategy is introduced. The unintended consequences can't all be known because … they're unintended. Introducing rabbits to Australia seemed like a good idea in 1788 (Wikipedia). The subsequent innovations were a rabbit-proof fence (1901) and then the fatal myxomatosis disease (1950). There’s now a vaccine for pet rabbits but usage is illegal in Australia. That’s a lot of unneeded innovation. Rabbits never asked to go to the land of the kangaroo. The last major new strategy was "10-8" leveraging (now 9-7). That's from the late 1990s. CRA expressed concerns in December 2008 with threats of audits. The insurers continue to stand behind the strategy and no major accounting firm has withdrawn their support. Even so, CRA has created enough uncertainty to frighten some clients and accountants — and collect more tax. Products don't change much. The major differences are in the packaging. These take the form of "strategies" (which don’t change much either). Internally, they might be called "wrappers" since the same basic products are underneath the shiny new skin. When I was designing products and strategies, more seemed better. That's because advisors crave the new. Innovation was a way to get their attention. Accountants were also shown the new stuff for the same reasons. You might watch reruns on TV or go to session after session on a topic of interest, but advisors were reluctant to attend the same presentation again. They craved the new. Many would have invested their time more productively by re-learning strategies they saw before. As the 10,000 hour rule demands, mastery takes time. Mastery takes practice. Innovation doesn't matter much to you. As a client, you don't know what's “new and improved”. You're buying now. You're unlikely to "trade up" to the new model three years later. Even if the features are better, you'll face higher prices because you're three years older and you'll need to go through underwriting again. Guess if the criteria will be more lax? Don't count on stronger guarantees either. PS Outside the financial world, new usually means improved. Would you want to buy last year’s gadget?